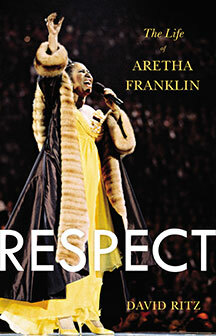 Respect: The Life of Aretha Franklin by David Ritz. This definitive biography takes readers back to the beginning with Franklin’s troubled childhood, which the singer went to great lengths to hide—including losing her mother at a young age and a teenage pregnancy—all the way through her rise to stardom as the Queen of Soul. You’ll learn about the grit behind Franklin’s consummate glamour. The author knew Aretha personally. He also helped write her 1999 autobiography, Aretha: From These Roots. 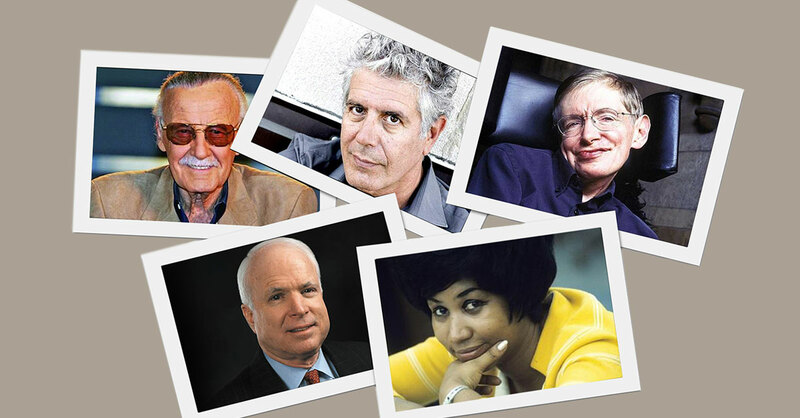 Voices: How a Great Singer Can Change Your Life by Nick Coleman. A very different lens for viewing Aretha Franklin’s life (and those of other great singers), this new release, written by ­music critic Coleman, delves into the how and why of voices and what makes them so compelling. Why do certain voices—those of Billie Holiday, Roy ­Orbison, Mick Jagger, Amy Winehouse, Janis Joplin, Franklin and others—move or appeal to us? Why do we connect with certain singing styles—the kindness of John Lennon on “Nowhere Man” or Bob Dylan’s deep, rapturous recounting of suffering on “Blind Willie McTell”? Coleman’s personal experience with ­devastating hearing loss, which began in 2007, informs much of the book and underlines the treasure that hearing these voices really is. Another good read is The Common Good by Robert B. Reich. A political commentator, professor and author who served in three presidential administrations, Reich endeavors to start a national conversation about the deterioration of civic awareness and involvement and get people thinking about how one’s character informs how one lives life—something McCain felt strongly about. This book also is a great conversation-starter for book clubs. 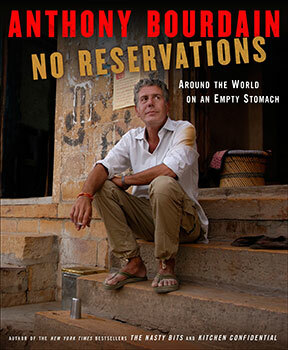 No Reservations: Around the World on an Empty Stomach by Anthony Bourdain. You don’t need to be a foodie to appreciate Bourdain’s decades of global dining adventures, including dining on stinky fermented shark in Iceland, ordering reindeer (medium-rare, please) and much more. This book is a behind-the-scenes look at the intrepid traveler’s show of the same name that aired on the Travel Channel from 2005 to 2013. Filled with beautiful, wanderlust-inspiring photos from Bourdain’s travels, it’s a good read and a worthy coffee-table book after you’ve read it. For another chef-inspired book, try We Fed an Island: The True Story of Rebuilding Puerto Rico, One Meal at a Time by José Andrés. Published just months after Bourdain’s untimely passing, this memoir, written by one of Bourdain’s longtime friends, chronicles the efforts of Andrés, a James Beard Foundation award-winning chef, and others to go to Puerto Rico after Hurricane Maria and feed thousands of people who were without clean water, food, power or any means of communicating with friends and family. His crew ultimately cooked up 100,000 meals a day—a thick ­Caribbean stew called sancocho, paella and more—for the devastated island inhabitants, providing comfort through lovingly made food. Bourdain would have appreciated Andrés’s MacGyver-esque ways of nourishing people and the evidence of the healing power of food. 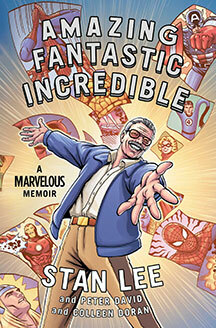 In Amazing Fantastic Incredible: A Marvelous Memoir, comic book ­visionary Stan Lee—he was part of the team that gave the world Spider-Man, The Hulk and more—takes readers on an illustrated journey through his life, from growing up in New York City ­during the Depression to serving in the military during World War II (when he was tasked with designing a comic-style poster urging soldiers to seek treatment for sexually transmitted infections) to his seven-decades-long career. You’ll walk away truly understanding why Lee loved what he did for a living, and you don’t have to be a comic book or superhero aficionado to enjoy the ride. For more superhero fun, check out The Amazing Adventures of Kavalier & Clay by Michael Chabon. The hefty novel follows Joe Kavalier, a Jewish escape artist who arrived in New York City from Nazi-invaded Prague, and his cousin Sammy Clay as they try to break into the 1940’s comic book industry. Ever find yourself pondering, Why do we exist? or How did the universe ­begin? In A Brief History of Time, British physicist professor Stephen Hawking aims to help you find your answer. 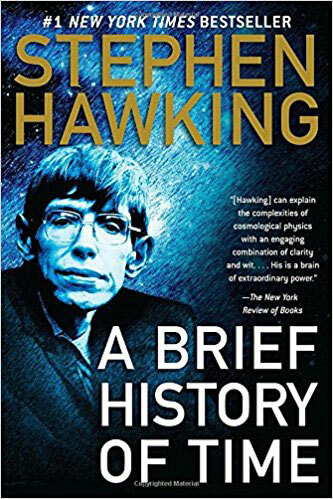 Hawking’s trademark approachable writing style is on full display here, explaining difficult concepts in a relatable way and proving that physics can be fun. Somehow, amid discussions of quarks and black holes, he does just that. It speaks to the brilliance of this great mind who succeeded in his ­mission to make physics much more understandable to the rest of us.